Actually Stan... funny story, Olivia was actually born in Cambridge, England, and it wasn't until a few years later that her family moved to Australia. Reading a book of interviews with cartoonist Chester Brown. Interesting overall, though I think I take issue with his view of mental illness. I appreciate that he wants to destigmatize it, but mental illness DOES exist. I was a huge fan of the Stanley Kubrick film as a teenager but never got around to picking up the novel until now. 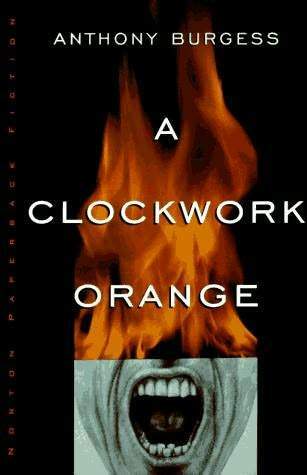 The weird thing about the book is that it's narrated in that weird sort of cockney that Malcolm McDowell uses in the movie. Being familiar with the film I didn't have a tough time following it. 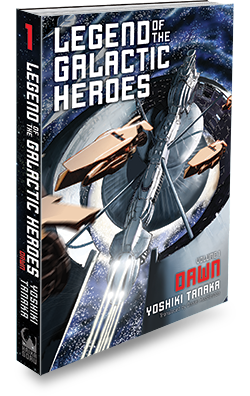 An additional note is that this version of the book includes the final chapter than was for whatever reasons omitted from the original American release and therefore the movie adaptation as well. For anyone unfamiliar with the story it's set in a dystopian future, that doesn't seem to far from the present, where the government has developed a way to brainwash or condition the criminal element into behaving as they deem good. Here the mere thought of violence and other socially unacceptable behaviors makes the protagonist extremely ill. There's a lot of social and political commentary here that features some pretty disturbing situations to examine the importance of choice and freewill in a moral society. Despite the way language is used I found this an interesting read and comparable with some of the other dystopian stories I've enjoyed. I just got Olivia Newton-Johns new book/memoir "Don't stop believin'". I'm only through chapter 1 but so far I am really enjoying this book. If you're a lifelong fan of Olivia like I am the book is a must. Even if you're not I'm sure it would be a great read for anybody else. I've sung the praises of the anime many times, but I've never actually read the books. I decided it was time to rectify that. I feel I should make it clear, these are not manga. They're full fledged novels. The translation is quite good, if a bit on the dry side. I only just started it, but considering the show is hands down the best space opera ever made, and the remake (currently airing on Crunchyroll) is shaping up to be very good as well, I have high hopes. I've only read the prologue so far, but already it does a great job of explaining how humanity ended up in the situation they're in at the start of the story proper. 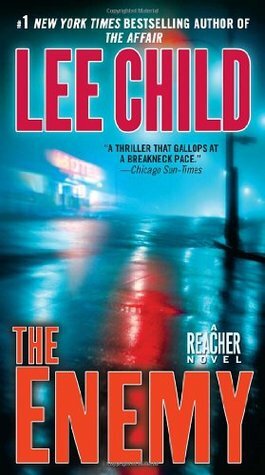 Book eight is the second Jack Reacher novel to be written in the first person, like the last book which featured flashbacks this story takes place entirely in Reacher's past. Specifically starting the night of New Years Eve 1989 and the following days. Once again we are getting a peak into Jack's analytical mind while seeing him work a case as a Military Police officer. When a General is found dead in a hotel room and his briefcase containing sensitive information goes missing it leads to a series of murders and a conspiracy unravels. We get a more in depth look at characters from Reacher's past particularly his brother Joe and their ailing mother. I feel like Child is making commentary on the political infighting inside of the military between different branches of the army during a time where downsizing would soon occur with the inevitable fall of the Berlin wall. There is also a really touching reveal about his mother that I don't think anyone would expect. Other than that it's more of the same action packed 'whodunit' where Reacher solves the case, gets the girl, and kills the bad guy. Despite being somewhat frustrated with Peter Hamilton's plot development (he brings up a lot of interesting ideas that go in directions that are unexpected but I don't necessarily like), I've continued reading his work. After finishing his Commonwealth books and skipping the first, I went back and read the first book. It was indeed skippable as it didn't add anything to the series that followed. Then read "Fallen Dragon" which I enjoyed. Now reading his "Night's Dawn" trilogy. Liking/hating it just as much as the Commonwealth books (well written, but takes some unexpected turns and some of the turns are kind of dumb). This book is hilarious. It's a must-read for any Simpsons fan. I'm listening to the audiobook. And the impressions and jokes and more add an extra layer of entertainment. I thought it was going to be dry or at least a little funny. It's hands-down the quality I expect from the best of a Simpsons episode. I'm constantly laughing and learning about incredible behind-the-scenes details. He does not hold back either. He talks about ghost writing celebrity children's books only for the money and talks about the hilariously inept TV execs who have tried to meddle with the shows he's worked on. It's a bit of a tell-all. 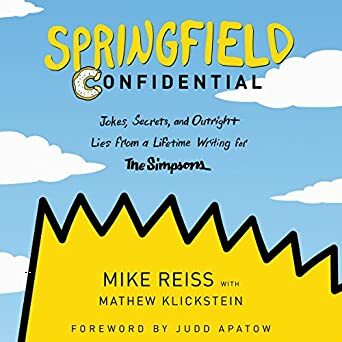 I think my favorite chapter is the one where he talks about all the celebrities who have done The Simpsons with funny anecdotes and why they chose them. If you like The Simpsons, you owe it to yourself to read/listen to this. I am read manga book and I read grand blue manga. Damn! Another spammer. Makes me wonder what it is about our little club that attracts so many of them. Recently I got a bunch of graphic novels from Amazon. I got Captain Marvel: Earth's mightiest hero, Avengers The Initiative volume 1 and Avengers World. I've been enjoying them all a lot. Avengers Initiative is kind of a hard read because much of the story focuses on Z-list characters that I've never heard of. It's the continuation of the Civil War story line. Captain Marvel: Earth's Mightiest Hero is a lot of fun, and has some cool stories like Carol ending up back in time in World War 2. I'm not yet finished with Avengers world but I think I like it the most because for me Captain America is the central hero of the Avengers and when it comes to the comics I like him a lot because like in Avengers Infinity War he's the moral compass. I have a great deal of respect for that kind of thing. He's also relatable because even though he's a super soldier we can still relate to him as a human being. At the moment, I am reading eBooks from my friends and editing them in DreamWeaver (because EPUBs are just Webpages bound and zipped up and have their extensions changed from ".zip" to ".epub". It's true!). Back in the early to mid 90's I began to become obsessed with Judge Dredd comics(I had a passing interest in law for a while, which might explain why my first effort in college was to obtain a degree in legal assistant studies). Back then finding that kind of stuff was hard. Certainly there are many comic book stores in Albuquerque, but until the Judge Dredd movie in '95 it was pretty much out of the mainstream as far as I'm concerned. My interest isn't as passionate as it was back then but I still enjoy reading Judge Dredd comics. Recently I went looking for an older graphic novel I knew about but never saw back in the day called Judge Death: Boyhood of a superfiend. Anyway this graphic novel recounts Judge Death's origins which are quite... dark as you might expect. I won't get into spoilers, but basically the conclusion one might reach is that Judge Death is a product of his environment. I got the Kindle version for... reasons. Trust me, it's complicated and you do not want to hear about it. Before he was Judge Death, we only know him as "Sidney", a kid who does some horrible things and exhibits psychopathic tendencies. Before when I said Sidney was a product of his environment I was also referring to genetics. Sidney's father was a dentist and serial killer. It also doesn't help that Sidney comes from a world where life is cheap, like dirt cheap. When Sidney eventually joined the Judges he dispensed execution sentences, even for the most petty of criminal offenses. Anyway it's an interesting story, if you're a Dredd fan like I am you'll see why since the newer Dredd movie in 2012 I wanted a sequel to focus on the Dark Judges. They are IMHO one of the most deadly and interesting foes Dredd has ever faced. I am currently reading The Garden of God by H. De Vere Stacpoole because somebody made an in-browser RPG Maker game about it for the Public Domain game jam and I want to read the source material.